Tokyo is very much a city of the future and is itself a cultural example of the tangible successes that are achieved with efficiencies, discipline, foresight and mindfulness. As hosts of the Olympic Games in 2020 – including the second-ever and highly anticipated Olympic Golf tournament, the future is certainly exciting. On the other hand, Japan ironically faces challenges that are all too familiar to the game of golf with an ageing society and fewer younger people joining the fold. 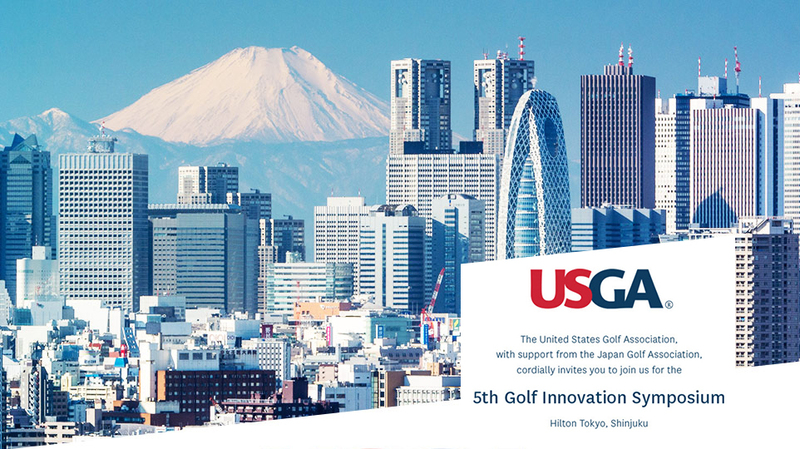 The good news for golf is that future proofing the game is much less complicated than future proofing a society, economy and people, but it does take foresight and willingness – of which there was plenty on show at the 5th USGA Golf Innovation Symposium hosted in Shinjuku, Tokyo March 12-13th 2019 hosted by the USGA and the Japanese Golf Association (JGA). Reduce consumption and implement savings to ensure sustainable and future-proof operations. Understand and use the player experience as revenue and growth opportunities to grow the game. Measuring the player experience – what really matters? The operators who do this sooner rather than later who not only meet, but exceed the challenge benchmarks will thrive and grow, while the ones who wait and see will get left behind. The good news: latent demand in golf is high! People who are interested in playing golf are estimated to be up to 60 million in the US compared to +-27 million occasional / regular / heavy golfers already tied to the game. a key driver behind the Golf Innovation Symposium. Non-traditional playing formats such as Topgolf and golf simulators introduce the game to more people and show a positive conversion trend to real on-course golf. Being consumer led, being open and welcoming and, importantly, delighting players with a high satisfaction experience are critical for golf’s future. “US Golf ranks at a low 69% satisfaction score which is similar to airlines and the post office and the low end out of 48 industries polled. 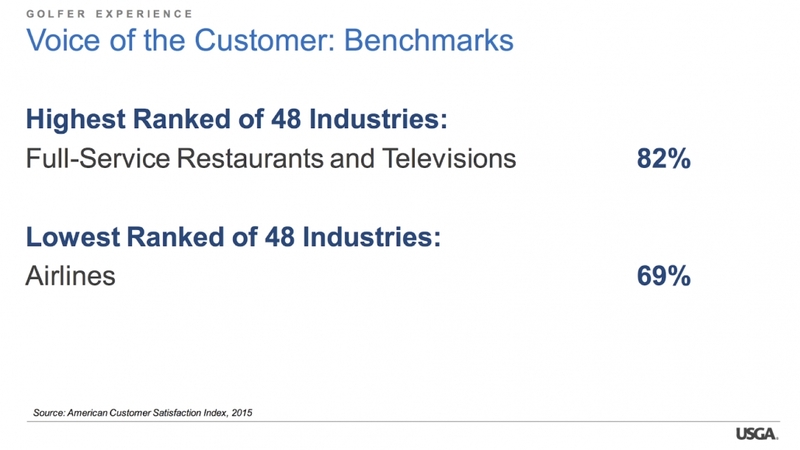 Full service restaurants on the other hand are highest ranked at 82%, this is where we need to get to as an industry to retain existing players and attract new ones.” according to the USGA’s Rand Jerris (Senior Managing Director, Public Services). Credit: USGA Innovation Symposium – USGA Challenge Statement, Rand Jerris, Ph.D.
At the same time operators need to reduce costs of operation and work smarter to be sustainable and profitable, with labor, water and nutrients cost escalating annually at up to 11.4% and margins and cash flow under increased pressure, reducing facilities’ ability to invest in their future. 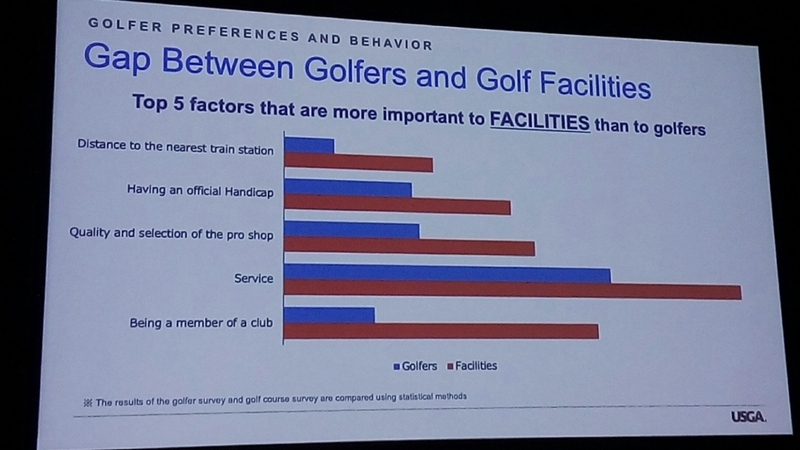 JPA and USGA-commissioned research presented by Shigeki Mitsuishi shows focus and importance perception gaps between players and facilities in Japan. Rising labour cost has been marked a key concern. It is obvious that technology provides a major opportunity in this space. While course conditioning ranks very high on the players satisfaction metric list, it is also the single biggest consumer of budget and resources at a facility. Research shows that US facility spend of course conditioning ranges between $500 000 and $3,2 million a year and there is no set percentage of budget trend, but rather clubs spend what they can afford -in other words affordability (choice) rather than efficiency drives golf course maintenance spending. “You already have robots vacuuming your home, how long until autonomous mowers get to work on your fairways?” asks Dana Lonn an engineer, 40+ year golf industry veteran and former head of research and development for Toro in his “Investing in Innovation” presentation. Playability over appearance, being consumer-led in investing in high impact dollars that really matter is smart business strategy. Efficient resource management makes budgets go further, technology brings precision, automation, optimization and savings. 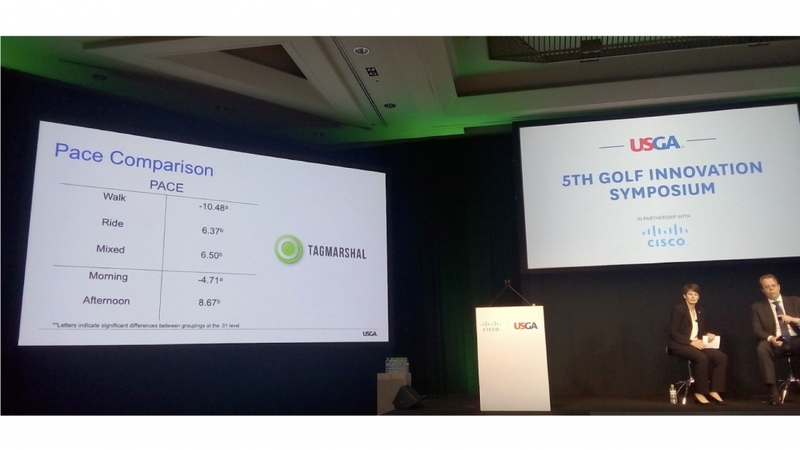 The USGA has shown that golfer traffic and heat map GPS tools can help clubs reduce turf and make smart adjustments to materially reduce rising irrigation and maintenance costs. Course Architect John Stanford, together with the USGA GPS heatmap tool headed up by Scott Mingay, USGA Director of Product Development and the Tagmarshal data gathering system helped Miami’s Crandon Golf Club reduce turf and adjust the course to save an estimated $400 000 in water usage cost annually, excluding maintenance labor hours, fertilizer and machinery savings. “The Crandon Golf project’s includes a 42 acre turf conversion and reduction which equals a 35% reduction in the use of water, fertilizer, herbicides and related inputs. With the help of GPS heatmap and traffic patterns it was already possible to realize a 10% irrigation saving just by using in-house staff to adjust and remove sprinkler heads, in line with actual course usage patterns,” explained Sanford. The “Defining the Golfer Experience” research conducted by these two leading consumer journey and experience researchers looks at delighters and frustrators in the player experience. “Pace and time are critically important to the overall golfers experience & satisfaction,” explained Professor Eric Brey, Professor & Chair in the School of Hospitality Leadership at the UW-Stout. The research was scoped across: Experience Touchpoints, Time Influence and Golfer Satisfaction. “Time is more than pace,” stressed Brey, showcasing the time and pace segment broken down into 12 related metrics. “We conducted extensive surveys and we used a system called Tagmarshal to track and measure player movement, live pace and flow patterns at our research courses,” explained Kris Schoonover Associate Professor at UW-Stout and Director of Operations at 2017 US Open Hosts Erin Hills. The research ranks touchpoints from negative to positive across the following classification attributes: Perfect Frustrater, Frustrator, Dissatisfier, Satisfier, Delighter. ‘Other’s speed’ -1.000 Perfect Frustrater, ‘Corrective pace actions’ -1.000 Perfect Frustrator both showing the lowest overall score and key experience influence. ‘Ranger / Marshal role’ and ‘Ranger / Marshal’ placement are generally low scoring with ‘Corrective pace of play actions’ the lowest scoring pace-related metric. At the same time delighters include positive factors such as positive ranger etiquette at a top score overall at +0.966 and overall playing speed also ranking highly. While there are a number of important experience touchpoints, it is evident that managing pace of play well, with appropriate etiquette, objective data and providing a positive flow and reduced play time has an immediate impact on player the player experience. The Net Promoter Score (NPS) is a common key metric in many industries that measures the customer’s loyalty to a product or service as well as their willingness to return and refer – in short the answer to the question ““How likely is it that you would recommend [company/brand] to a friend or colleague?” rated from 0 to 10. According to Jacob Buksted of golfer survey tool Players 1st, Promoters are: 4.2x more likely to buy again, 5.6x more likely to forgive a company after a mistake, 7.2x more likely to try a new offering. 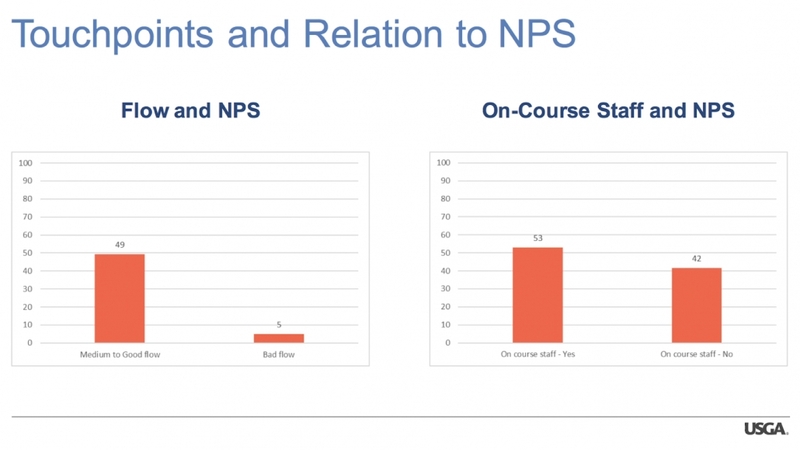 A high NPS is worth higher revenues. What matters most in golf? Golfer surveys reveal key trends on what scores high and low on the NPS scale. In line with the player experience research conducted by the USGA, the Players 1st results also show the single biggest negative NPS score is flow of play. It is obvious that the hold-ups and additional time spent on the course due to poor flow, waiting and delayed start eating into players’ available time budget for the post-round restaurant. 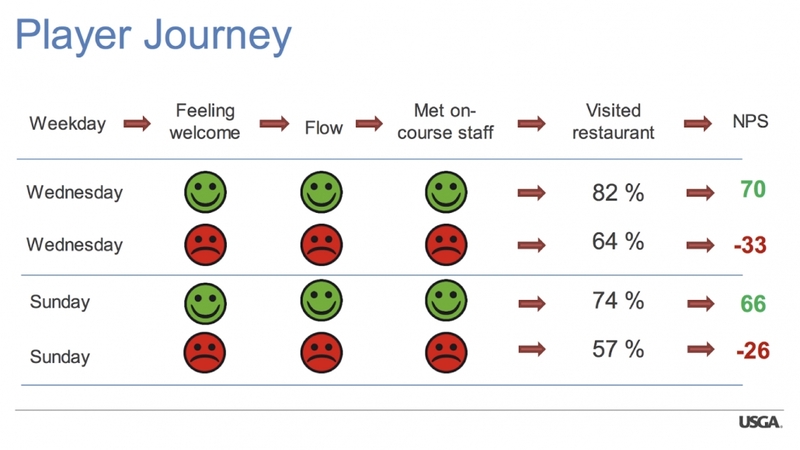 A positive flow and good all-round experience therefore not only results in a higher NPS with the improved loyalty, but also into immediate post-round food and beverage revenue. So it is no longer a question, do we have a problem we need to fix? The research is overwhelming in that the industry has an obligation to use flow and time of play and the general on-course experience as a game-changing, high NPS score strategy to delight players and create loyalty, repeat play and optimise revenue opportunities. Golf needs to evolve further. Its willingness to do so will determine its future. While tradition is part of the undoubted character and charm of the game, golf has shown that it can adopt change successfully. The switch from wooden to metal clubs, the seemingly overnight switch from metal spikes to soft spikes, introductions like shot tracer in golf broadcasting are some examples. The stakeholders who shape the game of tomorrow are the players of the future, who demand flexibility, fun, high service-delivery levels, accessibility, inclusivity and for the game to fit with their available spend budgets, and importantly pace and flow experience and time budgets. The future of golf delights its players, existing and new, it is quicker, mindful of time and a high value experience. Time to get to work. Tagmarshal is industry trusted and proven to add material value in the on-course operational and on-course and flow experience management space.